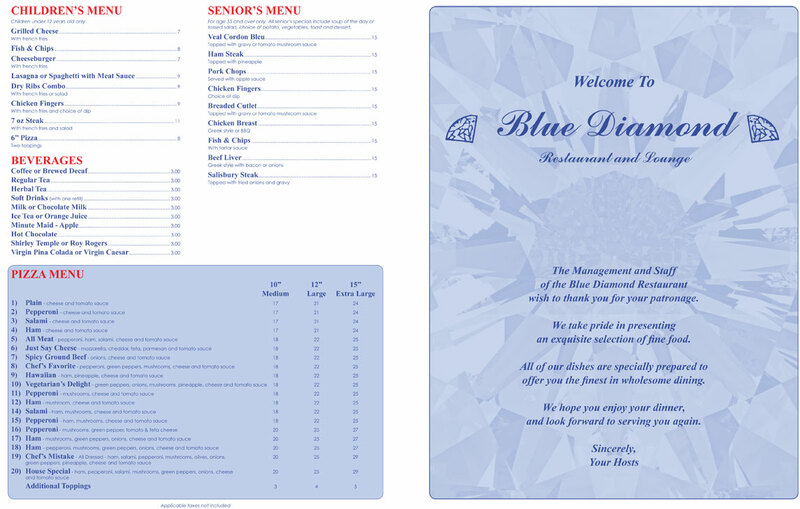 At Blue Diamonds Restaurant, we guarantee that all of our food items are made-to-order and crafted with only the finest of ingredients. Popular food items include; pasta, pizza, ribs, steak, and our delicious homemade soups and puddings! 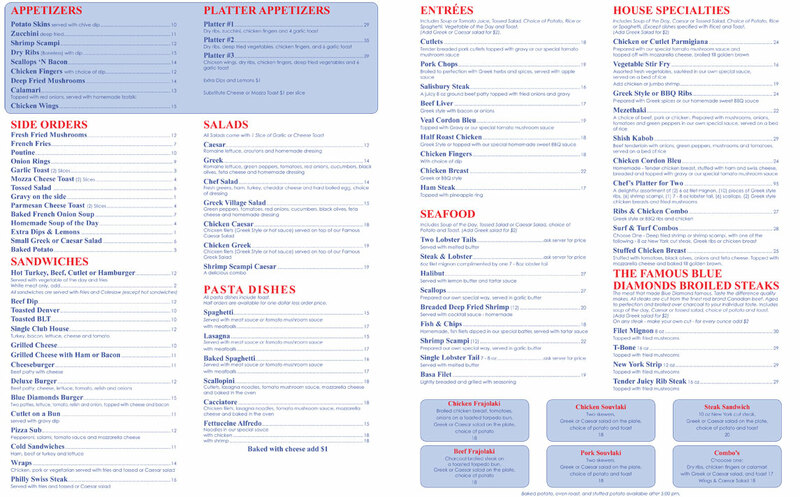 For a full list of our menu options available, please continue viewing below.